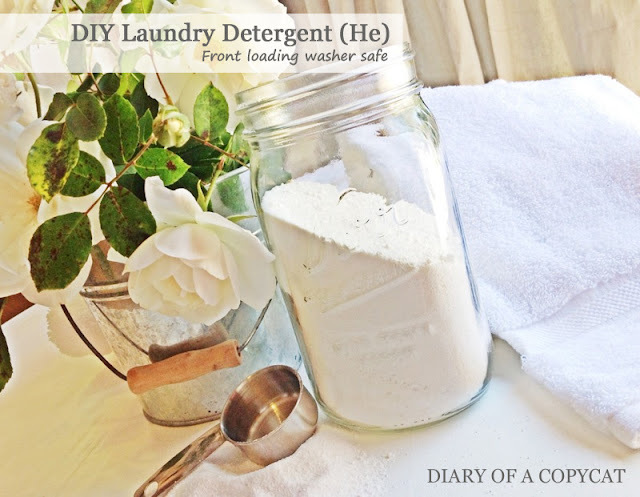 Diary of a Copycat: DIY He Laundry Detergent. You know I love saving money. A penny saved is ....more money to decorate! So, in the name of having more money to make life pretty, here is a cheap, effective and all natural laundry detergent. Did I mention CHEAP?!?! I was able to find all the ingredients at my local copy-mart. (Walmart for those who aren't fluent in copy-ese yet) I tried and tweaked many recipes from all over the interwebs but this is the one I came up with and like the best. No fillers, no artificial ingredients. He safe and perfect for sensitive skin. 1 bar Dr Bonners Soap (I use peppermint because it smells so pretty and fresh), Trader Joes or Online but you can use Dove mild soap as well. Multiply the ingredients to make your desired amount. Since we do A LOT of laundry at Copycat Cottage, I make mine by the box (1 box, 1 box and 3 bars... a bit different but still effective) and store it in a pretty glass cookie jar. 1. Grate (with a cheese grater- bought at the dollar store because no one likes soapy cheese) your entire bar of dr bonners soap. I use the fine side. 2. Measure out and add one cup of each: washing soda and borax. 3. Combine in a pretty container and mix. 4. Use 1/4c. powder per load. That's it. No cooking, very little fuss and you save BUCKS! Now with your money savings and your time savings... go make something beautiful! 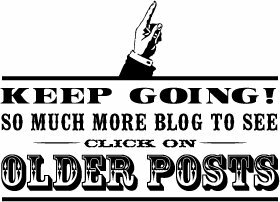 And because this is a decorating and crafting blog, i decided to add a link to some pretty laundry images from my favorite image blog: The graphics fairy. I have been getting low on laundry detergent and this year I am focusing on going "clean" bought some borax today because I knew I would need it. When I got home I headed over to pinterest to find a good laundry detergent recipie. I found yours! I've purchased a lovely glass canister and stainless steal scoop and I can't wait to make this. Your photograph is stunning! Even getting the borax at the Dollar Tree for a buck, is this really cheaper? Dove is pretty pricey. I don't know about Bonner's. And does it mix in the wash? I use borax to clean and mop and it clumps in the water. Try looking for Kirk's Castile soap- I got a 3 bar pack for under $4.